Barcelona’s bubbling PR machine is currently in overdrive, and their latest effort to pull fans back on their side has been to hand Andres Iniesta a contract for life at the club. Rather than an a PR move or empty gesture however, Barça must make good on their statement of intent regarding Iniesta. His legacy at the club must be cemented, by making sure that his image is intact for future generations coming through. You could perhaps forgive Barca for looking further into the future. After a perfect start to a La Liga campaign in which their greatest rivals Real Madrid have struggled, they are as short as 11/20 to win the division. It’s still relatively early but they are such short favourites that they can look ahead to next season and beyond. But why is Iniesta so pivotal to a side where others take the limelight? There had been fears, perhaps the most genuine yet in Iniesta’s career with Barça, that he could walk away. Since joining the club as a 12-year-old, Iniesta has become a beacon for what Barça wish to represent, and what for many, has been lost at the club. A player wholesome enough to earn the respect not just of his teammates, but opponents too. A symbol of the club for his values and character. The 33-year-old might’ve not been born in Barcelona, or even Catalunya for that matter, but his rise through the ranks of La Masia has shown that there is still place for humility and discretion in football. In a game now dominated by money, social media and other intangibles, Iniesta’s a throwback to simpler times. His football is similar; simple, but effortlessly exquisite. He makes the difficult tasks look effortless, and the easy things spectacular. Such is his demeanour on the field - and off it too. The famous phrase goes that Pep Guardiola, sitting alongside another Barça legend Xavi, pointed over at Iniesta and said that Xavi may retire Guardiola, but Iniesta will retire everyone else. Eight La Liga titles, five Copa del Reys, four Champions Leagues, two European Championships and a World Cup - perhaps his grandest moment - later, he’s peerless. Iniesta will retire as a legend, not only with Barça and Spain, but in the general game. It’s for that reason why Barça must not diminish Iniesta’s incredible legacy, and instead they must do everything in their power to highlight it. His presence at the club must be permanent even after the boots are hung up for the last time, and those twinkle toes are finally rested. A role among Barça’s technical staff, perhaps overseeing the progress of youngsters at the club, must be earmarked for the 33-year-old. There seems no use in him simply being an ambassador or intermediary for the club, instead his involvement must be direct and able to impact the players coming through. 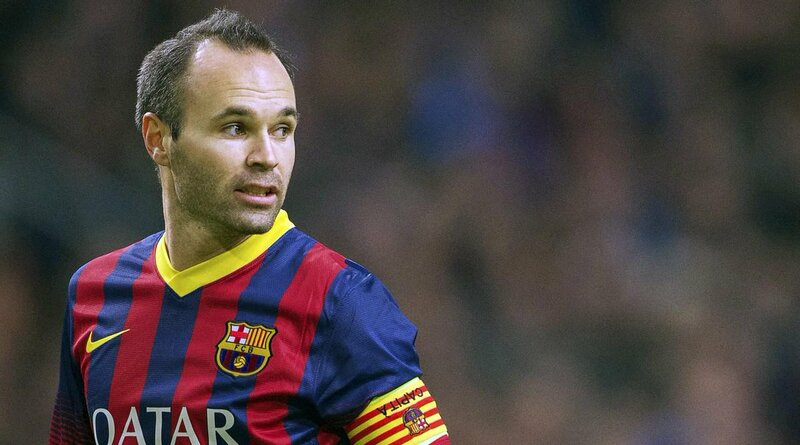 "I will be here as long as my body, mind and all I have to give is enough," Iniesta stated upon signing his new deal. "The lifetime title doesn't mean that I will remain here just for the sake of it. It isn't my way of doing things," said Iniesta, as he put pen to paper on the lifetime deal, essentially meaning he’s around for as long as he wants to be - as a player. The time to decide on matters after that will come sooner than he thinks too. While new coach Ernesto Valverde has kept Iniesta as an integral part of the Barça team’s now in charge of, it’s evident the first true signs of Iniesta’s decline have set in. His games and minutes will need to be managed carefully this season, more than ever, as he embarks on physical change. The brain will be the same, if anything even better than before, but sometimes the body simply goes against you. Valverde, himself a player back in his day, will be aware of it too. There are several promising figures at the club who maintain Iniesta’s freshness, and while none appear to up to standard quite yet, they’ll need to provide support as and when this term. Learning alongside Iniesta will be key for their development and they should consider themselves fortunate to be in the presence of such a great. It shouldn’t stop there however. Not just the current generation of talent at Barça needs Iniesta around; those of tomorrow and beyond do too. Life must mean life - not just until the last ball as a player has been kicked, for there is still more an icon such as Iniesta can offer.